Professor Sheng Liugang is an Assistant Professor of the Department of Economics in the Chinese University of Hong Kong. He is also the director of the Trade and Development Programme of the Economic Research Centre of the Hong Kong Institute of Asia-Pacific Studies. Prof. Sheng’s research interests cover international trade, international macroeconomics, and economic development. His papers have been published in many reputable international and Chinese journals including Quarterly Journal of Economics, Journal of Development Economics, Journal of Applied Econometrics, Pacific Economic Review, Asian Economic Papers, China Economic Quarterly, and Law and Social Sciences. 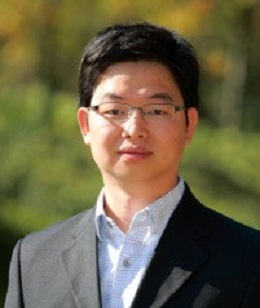 Prof. Sheng received his PhD in economics from University of California, Davis in 2012. He also obtained MA in economics from Virginia Tech in 2008. Before he went to US, he received the bachelor and master degree from Peking University in 2002 and 2005 respectively.